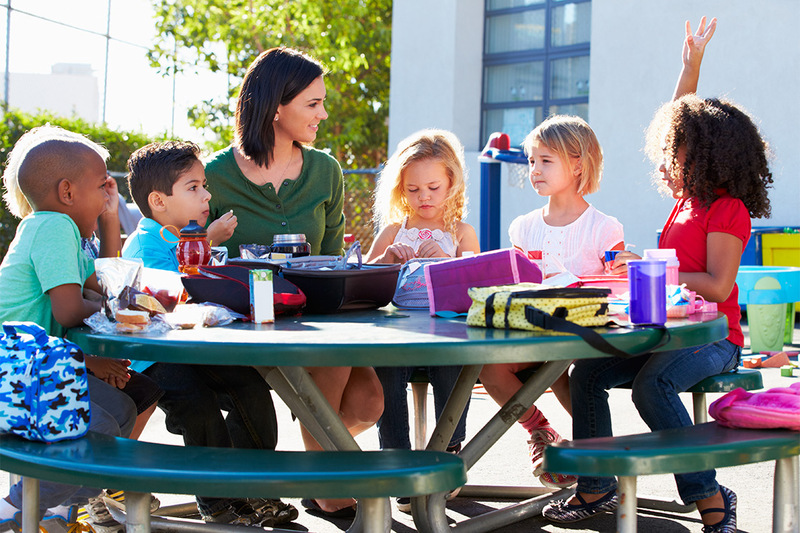 Childhood obesity prevention starts at home but schools can make an impact too. In one Texas school district, school cafeterias now offer hummus and vegetable platters, whole wheat pasta, and zucchini wraps. In another, lunch menus categorize dishes as “Go,” “Slow,” and “Whoa!” and use pictures to help non-English speaking students make healthy choices.Across the country, schools are exchanging prepared foods for freshly-grown produce, incorporating healthy eating lessons across the curriculum, and looking for ways to encourage kids to exercise more. The healthy eating movement is part of the national fight for childhood obesity prevention — a problem that is especially acute in the Latino community. About 38% of Hispanic children, ages 2 to 19, are overweight, compared with almost 32% of non-Hispanic children. Among Hispanic boys, that number goes up to 40 percent, compared to 33% for African-American boys and 30% for white boys. Younger Latino children are also showing higher rates of obesity, with 14% of Latinos ages 2 to 5, and 25% of those ages 6 to 11, considered overweight. Obesity not only puts children at risk of developing diabetes and other diseases, it also may be connected to poor performance in school. Recent research has shown that overweight children tend to score lower on math and reading tests. In addition, about one in five Latino children are on school lunch programs, with many getting both breakfast and lunch from the cafeteria. However, as school districts across the country grapple with budget cuts, many educators and healthy eating advocates worry that schools may be forced to cut back on healthy eating initiatives and childhood obesity prevention. At the recent Latino Childhood Obesity Education Summit held in San Antonio, many attendees noted that federal grants had already started to dry up, a funding drop aggravated by a $4 billion cut in state funding for Texas schools. One solution may be for schools to incorporate nutrition and exercise awareness into the broader curriculum, said Orci, noting that such lessons could be woven into health courses or even reading classes, where students could read books about healthy eating. Other schools are partnering with private companies and foundations to fund healthy eating programs. Food service giant Aramark, which serves more than 300 million school meals a year, is one of the leaders in that area. At the Pflugerville Independent School District in Texas, Aramark subsidizes the “Go for More!” program, which allows elementary students who buy lunch to get more fruits and vegetables for free. The company also supplies promotional items for programs. The Austin-area district, where about 43% of students are Latino and about half are on the free-and-reduced lunch program, has also revamped its school menu to include lighter, healthier fare. That means recipes made with lean meat, whole grains, and fresh produce, said Linley Danner, an Aramark dietitian working with the district. Once a week, the menus feature a Mexican dish — catering to both Latino and Texan tastes. But even those dishes have been updated, with whole wheat tortillas and low-fat cheese. Sometimes, getting the students to choose healthier food can be a battle, Danner admits. For example, it took a few tries for kids to try the hummus platter. Are Older Children Smarter Than Their Siblings? Are You Helping Your Kids ‘Too Much’ With Homework?